Weymouth first appears in history as a part of the Manor of Wyke Regis in Saxon times. The settlement gradually developed into a few streets round the harbour. 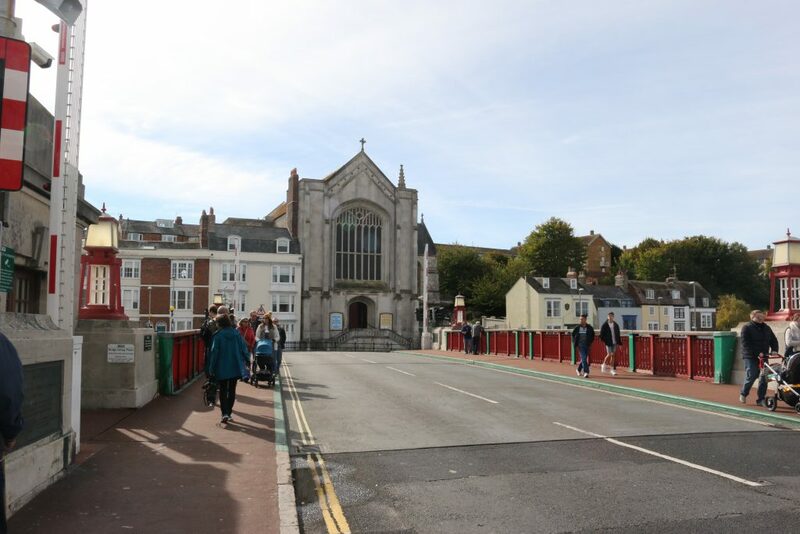 If residents wished to attend church, they had either to cross the harbour by ferry to a chapel near the site of the present St. Mary’s Church in Melcombe Regis or walk over a mile to All Saints Church at Wyke Regis. However, some parishioners, having walked to All Saints found, on their return, that their houses had received unwelcome attention from French pirates! There had been a chapel of ease dedicated to St. Nicholas on the top of the hill to the south of the present Holy Trinity Church. The chapel belonged to the parish of All Saints and dated from the latter half of the 12th century. At the Reformation, all chantries were suppressed, their revenues passed to the Crown and the chantry priests were dispersed. The building fell into disrepair and during the Civil War was occupied by the Parliamentary forces. Although during a night attack the Parliamentarians were surprised and defeated by the Royalists, a few weeks later the Roundheads retook the chapel after a battle in which many on both sides were killed. In this attack the chapel was severely damaged. 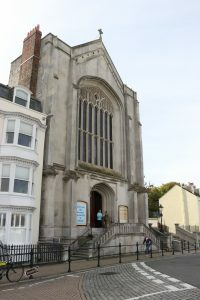 After the Civil War the building was neglected and an unsuccessful attempt was made to persuade Parliament to restore it so that it could become the parish church of Weymouth. In 1834 the Revd George Chamberlaine, Rector of Wyke Regis since 1809, offered to build a new church for the people of Weymouth at his sole expense. The site selected, at the southern end of the Town Bridge, was well chosen at the time - and more recently as shown by the prominence of the eye-catching posters that have occupied the notice board during the last twenty years. These were described by the Chairman of the Council’s Leisure Committee as “the best advertising pitch in Weymouth!” A public house, the White Hart, was demolished in 1834 and construction of the new church was started. Philip Wyatt designed the building and the structure was described by Eric Ricketts as “an essay by the architect in the late Gothick style – the Royal, and the collegiate chapels of the early 16th century providing the mainspring of his inspiration”. The slope of the site enabled the inclusion of a large crypt, which was used as a place of burial until the 1862 Burial Act. The church once displayed a notice to the effect that “The catacombs beneath this church may be visited by respectable persons”. The building was consecrated on 6 August 1836 by the Bishop of Winchester, acting on behalf of the Bishop of Bristol, for Weymouth was part of the Bristol diocese from 1542 to 1836. His curate, the Revd Thomas Payne served as curate-in-charge until creation of the parish, and he was appointed first Vicar. Gradually the area to the south side of the harbour was developed and the areas of Chapelhay and Rodwell grew. In 1885 Francis Sowter, the Vicar, realising that the church was becoming uncomfortably overcrowded suggested two alternatives. One was to build a new church at the south end of Rodwell Road, the second being to extend the existing church. The second being the preferred choice, houses adjoining the church were demolished and a large transept built. The Lady Chapel was extended, the sanctuary constructed (there was a gallery over the present chancel) and the whole interior turned round at 90 degrees so that the new altar is at the southern end of the building. The parish continued to grow and new daughter churches built in Chickerell Road and Buxton Road, both of which are no longer used. 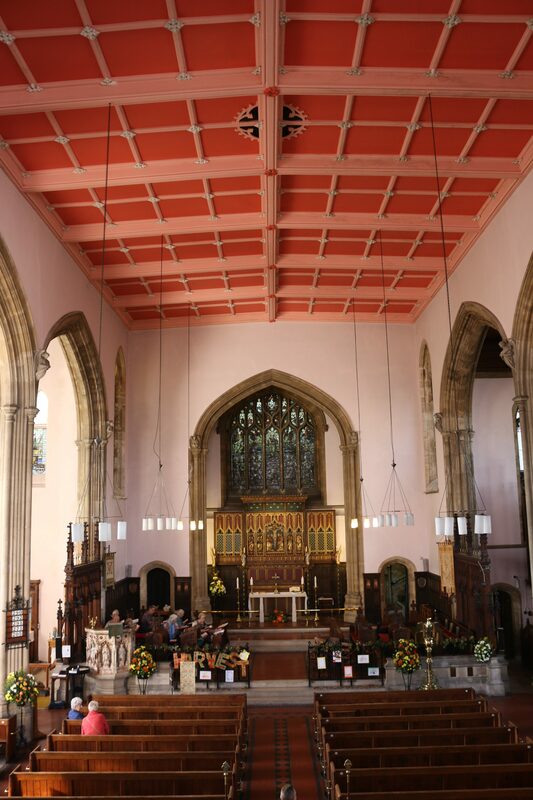 Today Holy Trinity continues to serve a parish in the south side of the town and also is the church of the Royal British Legion and the R.N.L.I. The church has been served by eighteen vicars, the current Vicar, Canon Andrew Gough having been appointed in 2017, and no less than 114 curates. Many of the clergy have worked overseas but the majority of curates have served as parish clergy in many parts of the country. Many interesting stories emerge from their experiences, some moving, some sad, other quite amusing - a mixture of the human race in all its facets. Edward Latham Bevan, who was curate from 1886 to 1891 and later became first Bishop of Swansea and Brecon was given the job of working with young men and boys, particularly in the area round High Street. He wrote about his experiences thirty years later. That area of the parish was of a rough character and Bevan recorded that a “certain liveliness” could be observed in the High Street after 11.00 p.m. One of the fiercest quarrels, when crockery was broken, arose from an argument as to the possession of the Family Bible. Ernest Walls served as Vicar from 1962 to 1964. He was a most interesting character who had served much of his ministry in South Africa. Sadly, after only two years he had to retire on medical grounds. The short time he served here was in inverse proportion to his influence as he managed to galvanise effort to get a new St Nicholas built and persuaded people to look realistically at the financial situation.